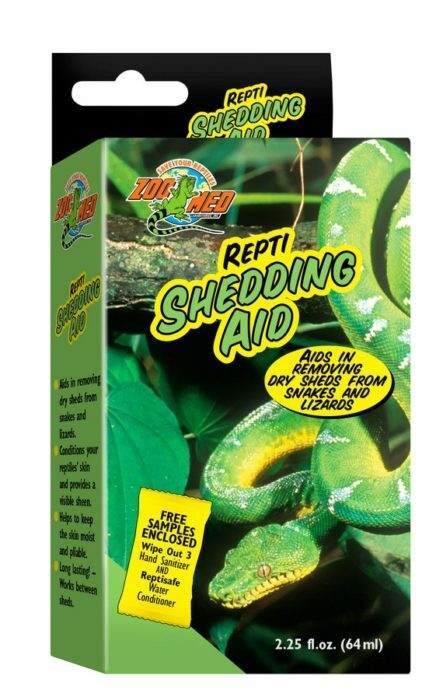 Repti Shedding Aid | Zoo Med Laboratories, Inc.
Aids in removing dry sheds from snakes and lizards. Shedding Aid conditions your reptile’s skin and provides a visible sheen. Long lasting! Works between sheds. Water, solubilizing hydrotrope, glycerine, jojoba oil and vitamin E acetate in an oil base.